While initially God’s silence or seeming lack of response to our prayers may appear to be a “no” it typically is more like a “not yet.” Timing, as they say, is everything and there is with God a mystery in His ways that requires an attitude of dependently waiting upon Him for the answer. The preparation process in delivering an answer is as much, if not more about what He is doing in us as it is about what He plans on doing for us. The one practice which I have found to be the most helpful in praying persistent prayers over the long haul is that of turning His promises into prayers. Here are some practical tips, by no means original with me, for doing that. 1.) Each day as I am reading the Bible I seek to be sensitive to the Holy Spirit to speak to me a “word of life.” (John 6:63) It is an encouraging verse or passage of scripture that speaks specifically to a need or situation I am facing. 2.) When that happens I seek to “capture” that truth as a promise from God just for me. I highlight in my Bible and write a date, sometimes with a brief comment, beside it. 3.) Next I copy the passage into my prayer journal and also write about its significance in my life and what I believe God is saying to me through it. 4.) Then, and this is the critical part, I take that scripture and personalize it by crafting a prayer. That means writing out a prayer that can be prayed in the first person with that passage of scripture as the basis. 5) Finally, I commit to praying that crafted prayer on a regular basis. Along with other such prayers that I have written it has become a daily touch point in my relationship with God. The power in praying God’s promises is that we are using His own words, imbued with His anointing. Praying the promises of God is as old as His Word. When we pray this way we are emulating the men and women of the Bible who sought His favor by reminding Him of what He had said and promised. Like the shamelessly persistent man in the Luke 11 parable of Jesus I have found that my regular knocking on heaven’s door eventually gets the same results. And in the mean time I have been sustained and enriched by God’s promises for me. Why not give crafted prayer a try? 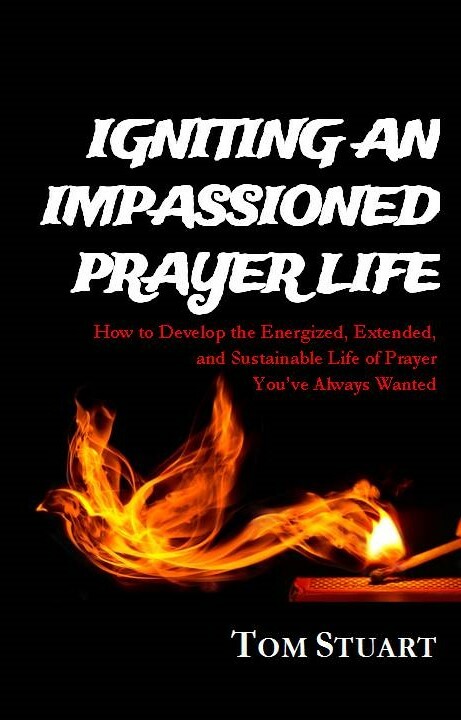 It promises to enrich your prayer life and also help you in praying persistent faith-filled prayers.